Lounge parties are a perfect option, when you want to relax listening to music. A good lounge party with nice music and your friends is the best way to spend a nice evening. No loud music, just some calm tracks and luxury atmosphere. 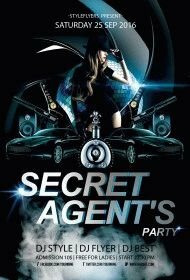 To promote a lounge parties, you should pay attention to PSD flyers. Photoshop files can be a good promotion material. Of course, the internet is very effective when you promote something, but flyers can complete the promotion campaign to attract even more potential visitors. However, printable lounge flyer templates are not just some images put together with some text. A good flyer for a lounge party has to be designed properly. A lounge party is a good way to spend a night. 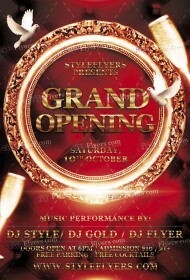 There are many details of flyers designing, but you can forget about them with styleflyers.com. 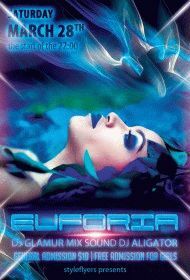 We offer to get free lounge flyer template from our listing and customize it. The sample you get is fully layered, so you can introduce changes without any difficulties. 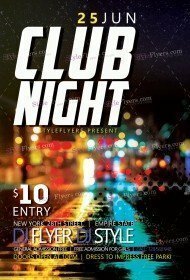 You can modify any element of the free lounge flyer PSD templates. You can change color, position or remove the whole element. You can change text as well. The template is followed with Facebook cover. Styleflyers.com offers free designs as well. You can download for free the great ideas for your event. Our team is available for hiring. We can create unique invitations exclusively for you.